or click the Back button on their Web browser. Interesting new article by Nick Usborne over on A List Apart explaining how to overcome the reluctance of users to fill in forms by imparting a little more energy into the process. As a formula, it is easy to visualize. In order to maximize the success of your site you need to increase the energy you transfer to your readers, and reduce the friction within the page or pages on which the reader has to do something. Yahoo! (god I hate that punctuation) have released a collection of user interface controls and core utilities (calendar, tree-view, drag and drop, event access) under a BSD license for the world to enjoy. If that wasn’t enough they’ve also published the first batch from their design patterns library, under a Creative Commons license, in what they’re saying will become a monthly release cycle. If you’re not familiar with design patterns they are a way of describing the optimal solution to a common problem, the best way to design a breadcrumb trail for example. There is more on design patterns over at the IAWiki. This is interesting move by Yahoo! (yep, still hate it), but one that fits in with the ‘community-led’ ethos that seems to have become the norm over there with the recent acquisitions of flickr and del.icio.us. I’m looking forward to spending some time exploring this new resource. Update: I forgot to mention that there is also a new blog to go along with these releases, the Yahoo! 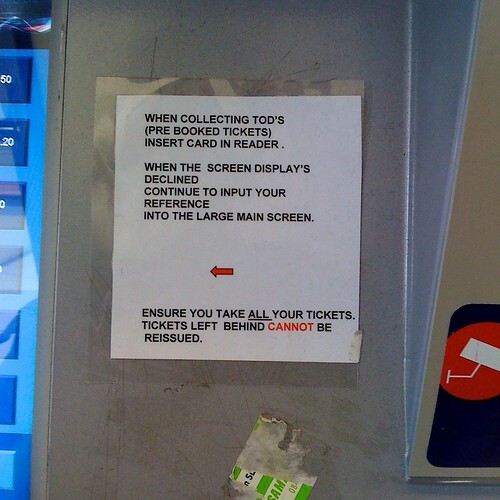 User Interface Blog. How much stock do we put in global navigation and could those resources be better spent elsewhere? Quite possibly according to Jared Spool at UIE.com. We’ve observed that it’s almost always the case that if a user is clicking on global navigation, it’s because they are completely lost. Having global navigation isn’t a bad thing. It’s just not something that should garner a lot of resources, as it’s unlikely to be important in the user experience. Here’s something interesting to think about. How much of a role does the global navigation play in orientating first time users to the site before they get to the local content? Isn’t that a useful thing and worth spending time on? As a friend said to me last night: “You don’t get a second chance to make a first impression”. And I wonder does this differ between the web as software interface and the web as hypertext system? Look at flickr’s use of global navigation - the frequented destinations at the top and the big-fat-footer (I just made that up) - both of which I know I use a lot. I’d ponder more, but I’m on holiday in 2 hours. Woo! Great article with 23 tips on how McAfee cut their support calls by 90% for a new product, by focusing on user-centered design.